We have had a great couple weeks of charters in Vancouver. We were fishing in english Bay for Coho and the odd Spring till a week ago and now have been off the Fraser river going after the Sockeye salmon with an odd Spring salmon mixed in. We have a few days open in August still and a few more days in September. 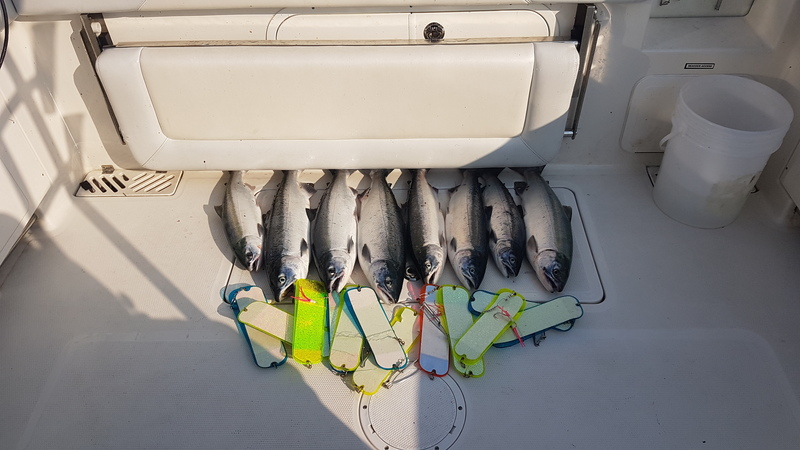 This sockeye run should keep going into the first week of August and we will switch over to our West van fishery for the great Coho and Spring run in mid September to early October. 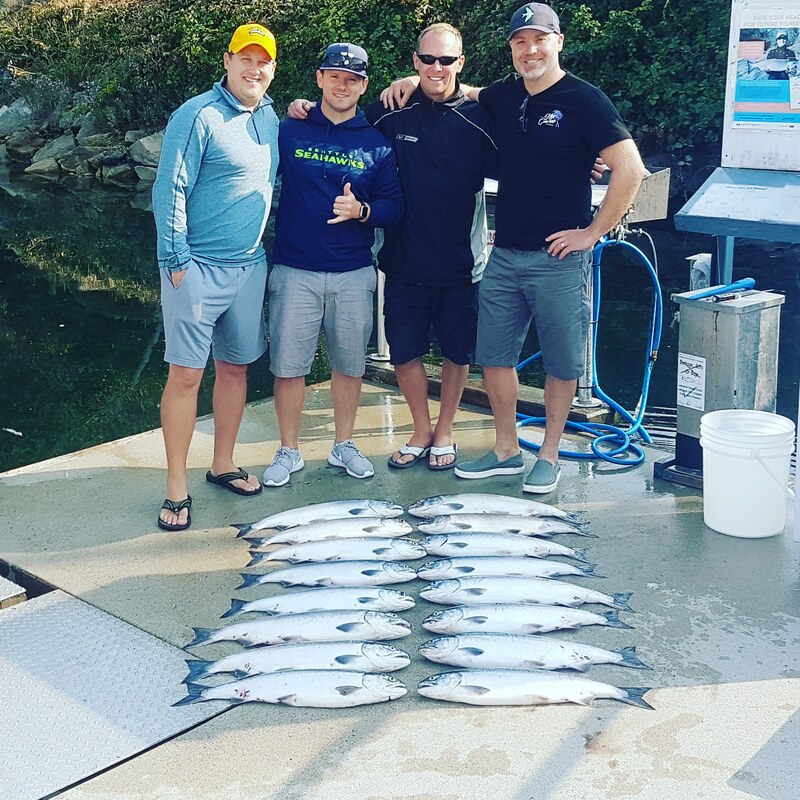 We also get a great run of Springs and Coho off the Fraser river which we key on on full day charters. Give us a call and book a trip or ask any questions you would like to have answered. If you are trying to go get them yourself give me a shout and i will help you out anyway i can. The Sockeye have been hitting on Gibbsdelta flashers with Yamashita hootchies the springs like them to. If just keying on Coho and Springs i have been mainly using Watermark Gibbsdelta flashers with rhys davis heads and anchovies. Good luck look forward to talking to you. 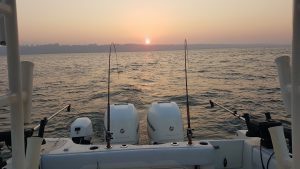 © 2019 Vancouver Salmon Fishing Charters with Watermark Charters - Fully Guided. All Rights Reserved, Watermark Salmon Fishing Charters.